Base camping establishes a "sort of permanent" temporary home away from home when you're backpacking. You hike into a great location, and make camp. So far, that sounds like backpacking, right? But establishing a home base means you stay put for several days and nights, doing serial day hikes or daily explorations of your chosen area and then returning to your camp site in the evening. make sense for a hiker? 1. When you've been salivating to explore a special spot on the map. Give yourself time to become immersed in one area, doing several day hikes to explore interesting terrain features or spend time getting to know local flora and fauna. You also have lazy evenings and early morning opportunities for exploration. Or just sit and watch the sun rise/set! No worries about having to pack up the next day. wrestling with unpredictable factors such as weather, availability of water or campsites further up the trail. 3. 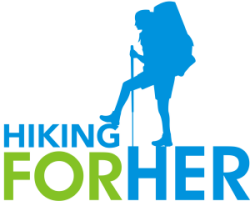 When you don't want to (or can't, due to an injury or physical limitation) carry your hiking gear for long distances. 4. When the rocky, steep or snow covered terrain limits the availability of camp sites in a particular region. 5. When you want to do a "retreat" type of trip, focusing on mental or spiritual development rather than logging mileage. 6. When you are backpacking with newbies or children, and want a "safe haven" to return to in case of nasty weather, an injury, or tired legs. 7. When you're solo, and thru-hiking or section hiking just doesn't appeal, for whatever reason. 8. When other hikers are going to join you in a day or two. You can maximize trail time before they arrive, while having a designated spot to meet up. 9. When you plan to hike for the entire duration of daylight and want a home base to return to easily by headlamp. This is especially important if you are hiking in unfamiliar areas. Maps aren't always 100% reliable for seasonal water supplies, camp sites, water crossings, or other impediments. You can use your headlamp to get back to your familiar camp, making the absolute most of your trail time. What should you consider when looking for the perfect base camp? You don't want to pack in water for several days, and there's no need to if you have a method of purifying it. Why knock yourself out getting to the base camp location? Save your fire power for the multiple day hikes you have planned. A rough or long hike into a special spot as "home base" can be overlooked, since you'll have several days to recover. If the option of serial day hikes from one camping site appeals to you, you'll need some serious camping equipment to make establishing a base camp comfy. And maybe base camp is at an established campground accessible by car. Ah, the luxury! Or take the concept of basecamping one step further: a bush plane ride into camp. You need a spot that you don't tap out in one day. This is where earlier reconnaissance with maps, trail guides, forums, and other hikers is a great idea. Go into the area with more than enough day adventures planned. If the weather turns on you, or your energy levels fluctuate, you have multiple options already planned. Do the most tantalizing one first, when the weather is good and you're feeling strong. And the opposite scenario might also play out: Bad weather the first few days, but you know you can wait it out until things clear up - and still see the good stuff. But at least you'll have a home away from home as the rain drops fall. Many women are concerned about personal hygiene on the trail. And it's true: After a few days of hiking, sleeping, cooking and relaxing outdoors you're going to start noticing how you are feeling crusty. Read these tips for good female hygiene while backpacking. And use these product recommendations for clean skin, hair, teeth and more. Once you're all set up and have established a base camp that suits you, be sure your noise levels are kept to a respectful level. Backpackers who are only spending one night at "your" lake or special spot will appreciate the quiet. And always use Leave No Trace principles to keep your activities separate from the local wildlife, whether botanical or otherwise. This style of hiking isn't right for everyone. Some hikers feel the need to wrack up mileage, push their limits, see new vistas around every corner, and don't mind breaking camp each morning. Others like to do this style of "immersion" hiking, sinking into one spot and really getting to know it. Do this for enough seasons, and you'll fill in an area on the map that has deep personal meaning to you. It's a great solo approach, because you can concentrate on the terrain rather than endurance hiking. Let me know if you have any questions - just use this CONTACT link. Read how to make car camping for hikers a good experience!